eCommerce Website Template Design. Designed for effective conversion. 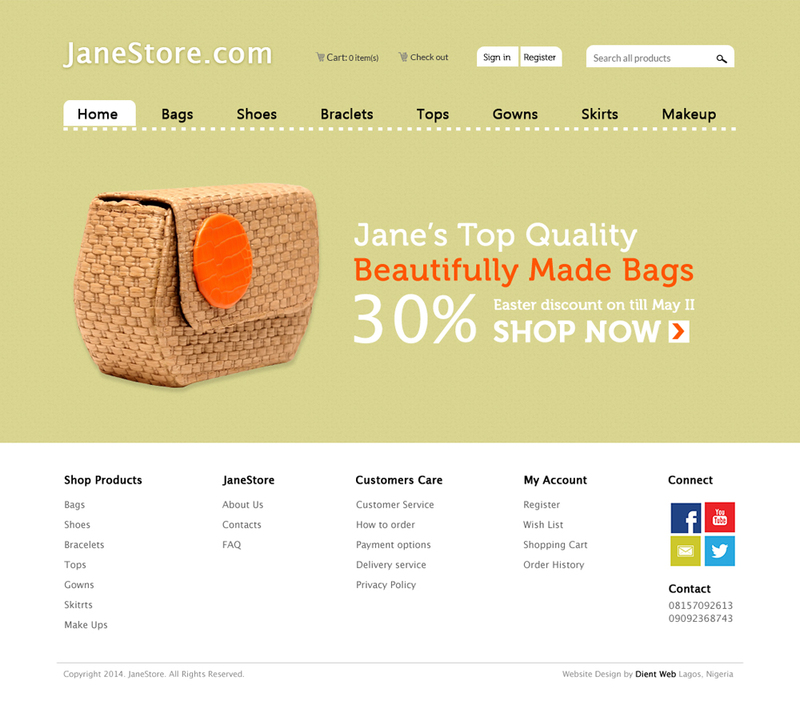 JaneStore is an eCommerce Website Template Design by DientWeb. 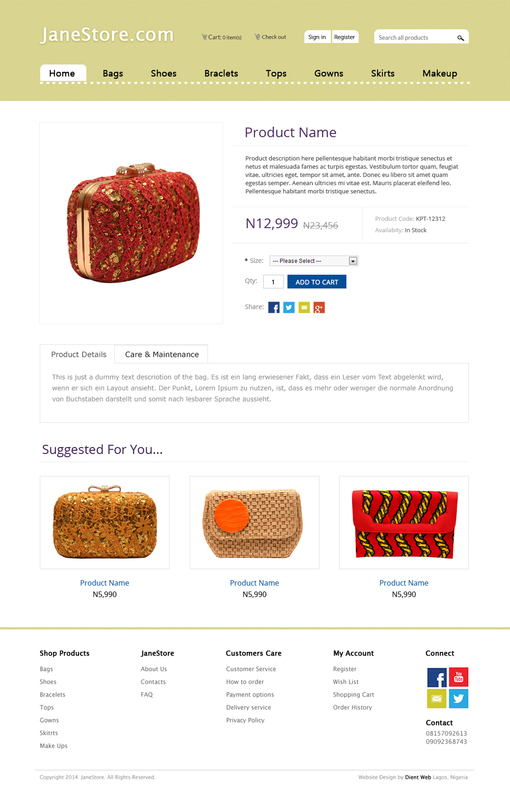 It can be adapted to OpenCart and WooCommerce to give your clients a seamless shopping experience. Nothing helps conversion in an eCommerce website like simplicity of use. That was exactly the motive behind this design. 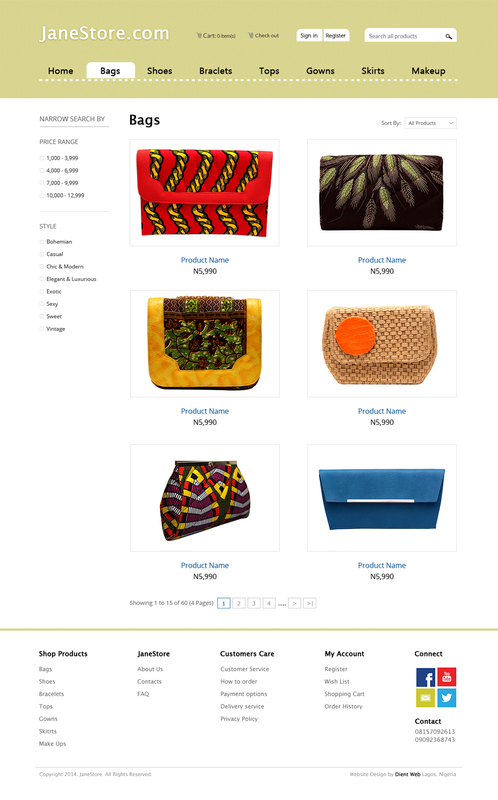 You can contact us to help you develop the designs into a functional online store. With our build from scratch approach to developing online stores, countless features can be added. This means that what you get at the end is an eCommerce website that suites your needs perfectly. Do see screenshots below.